Nick and I often stop to marvel at how we got here. Our journey was long and the road was winding, but we’ve finally arrived home. It’s beyond our comprehension that the Lord was gracious enough to work this out for us. We balance each other so well and yet, we are headed in the same direction. It’s not uncommon to hear one or the other of us say, “I was born to be with you”. It’s a beautiful thing. Having met at 15, it took 19 years for our timing to finally be right. We learned so much in those years. There are times we are tempted to regret our journey, but the truth is, we walked those roads for a purpose. We are better people, better spouses, and better followers of Jesus for the hardships and loneliness we endured. We are grateful and deeply appreciate this gift we’ve been given. I imagine we would have struggled much as young newlyweds without the wisdom that comes with time and maturity. Maybe it would have been better. Who can say? All I know is the looks on our face in the moment God’s promise was realized for us tells our story. We want to tell of His goodness always. When Nick and I began the wedding planning process, we were unsure of some things. There are a lot of details that go into planning a wedding, and while some seem of absolute priority and importance (choosing the date, the place, the people), other things seem less so. As we talked about whether we’d like to hire a videographer or not, we went back and forth. Neither of us particularly loves to be in front of the camera, so it seemed like something we could forego. I am so thankful we made a different decision! From beginning to end, the team at 3 Ring Weddings has been amazing! They offered a take on wedding videography that we didn’t find with other vendors, they treated us like family right away, and they were extremely pleasant and professional. Because we wanted our wedding day to focus on the story God has given us to tell, it was amazing to have the option of a same-day edit of our wedding video to share. They told our story beautifully. It is clear that they listened to us and took great care to give us a keepsake that we will treasure forever. So, if you ever know anyone who’s in the market for a wedding videographer, I highly recommend 3 Ring Weddings! We couldn’t be happier with all they did for us! Now, having said all of that, we’d love to share “Our Story” with you! The video is below, but you can also check out their sweet blog post here. You can also check out our Same Day Edit and our Cinematic Trailer here. Thanks for taking the time to hear our love story! The Lord has been so gracious to us and we just can’t stop telling the tale! 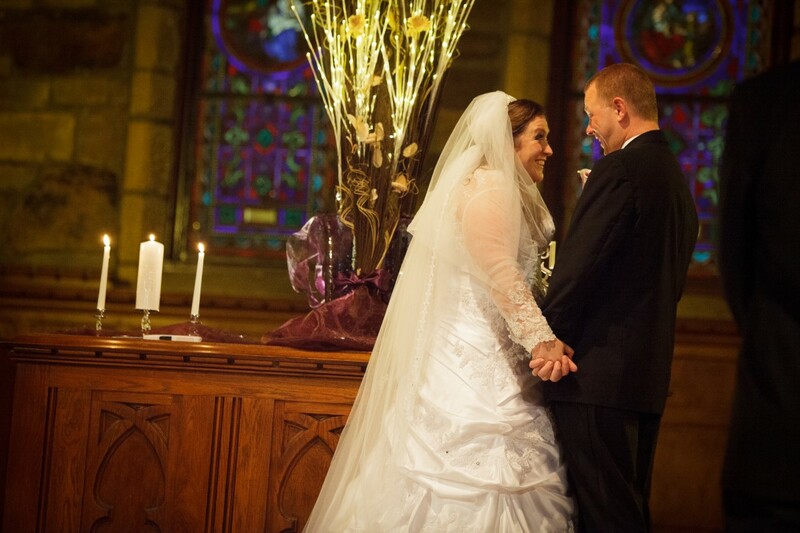 3rd Time’s The Charm: A Story of Nick & Christina from 3Ring Weddings on Vimeo.